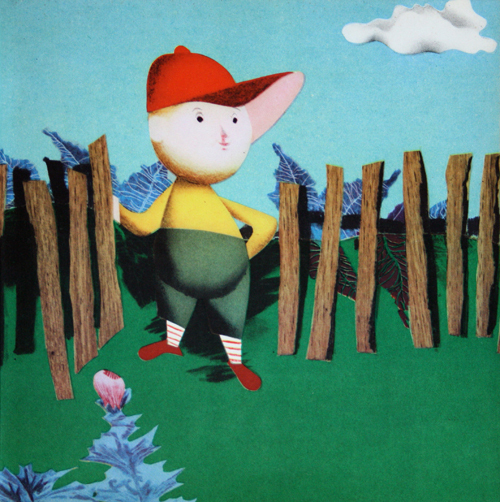 I'm in Czechoslovakia again with this entry, and with another children's book. 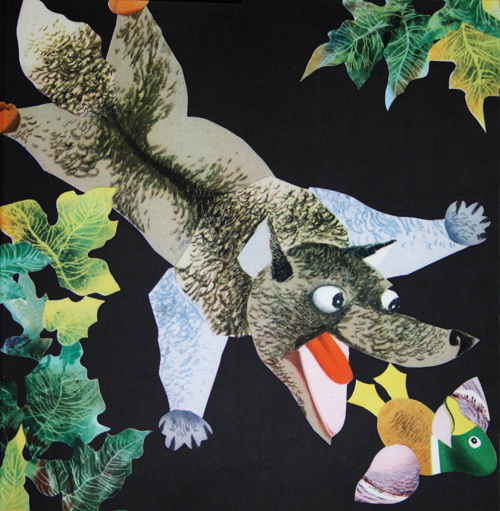 This one is a graphic novel, so to speak, of Sergei Prokofiev's Peter and the Wolf. 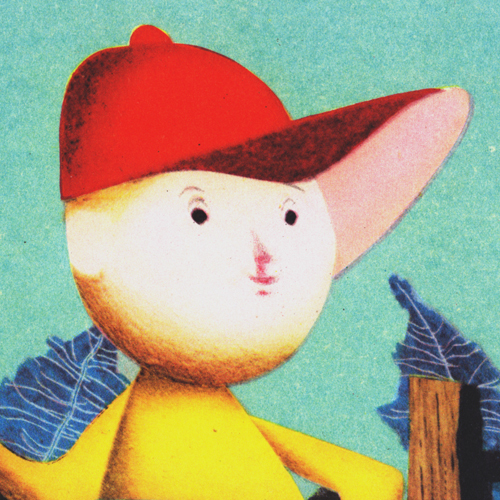 And like Kubasta's The Brave Tin Soldier, it was originally produced by the Czech communist government run book company ARTIA. This is a 1965 Hamlyn English version. It was awarded a bronze medal in recognition of it's design. 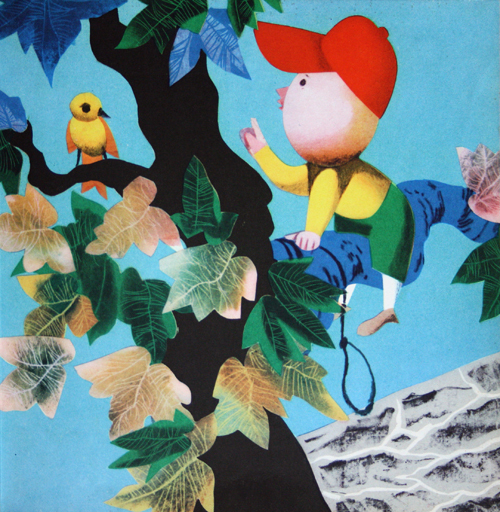 The illustrations are by Czech Jiří Trnka (1912 - 1969). 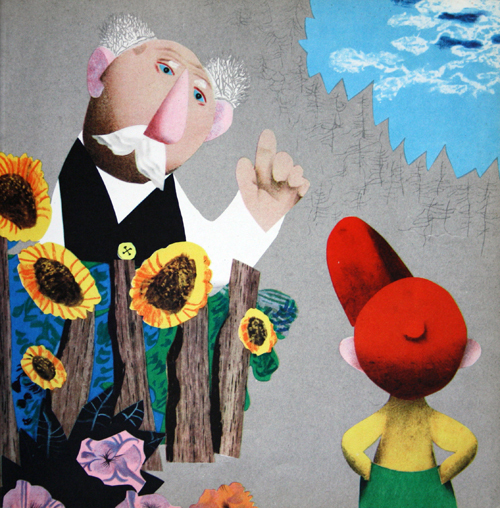 Trnka was a puppet maker and illustrator, and internationally recognised master of stop motion puppet animations. He directed eighteen films, the first of which won an award at Cannes in 1948. 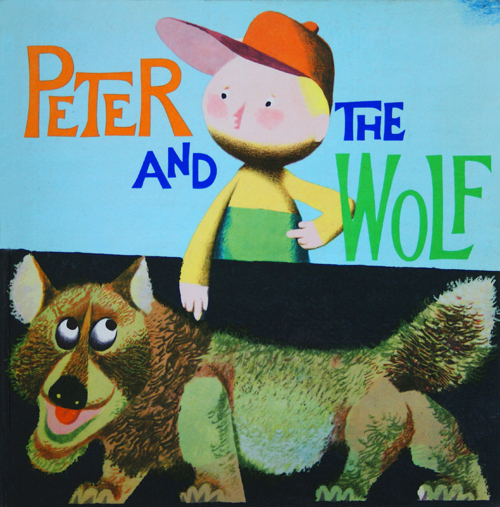 Just prior to to his death, in 1968, he won the Hans Christian Andersen Award for illustration - the so called "Nobel Prize for children's literature." The book is designed to be read while listening to the music, with instrument icons on each page alongside the text, as they appear in the Prokofiev piece. A film tie-in, Eastern European style! 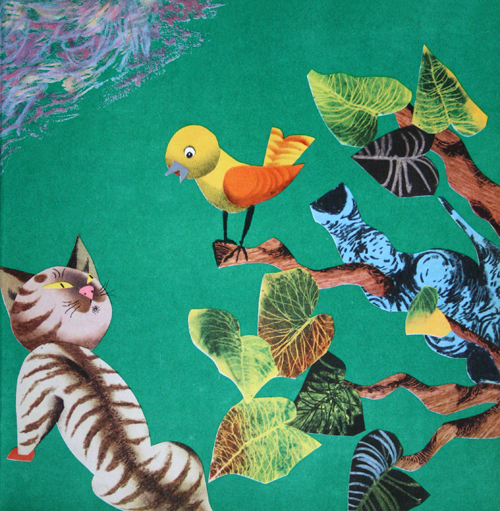 The illustrations, or to be more precise paper collages with pencil textures & textured rubbing's, bound around the page with suggestions of movement and depth. The colours are exquisitely vivid, especially Peter's bright red hat. In all, a static animated flat puppet show, if you see what I mean. 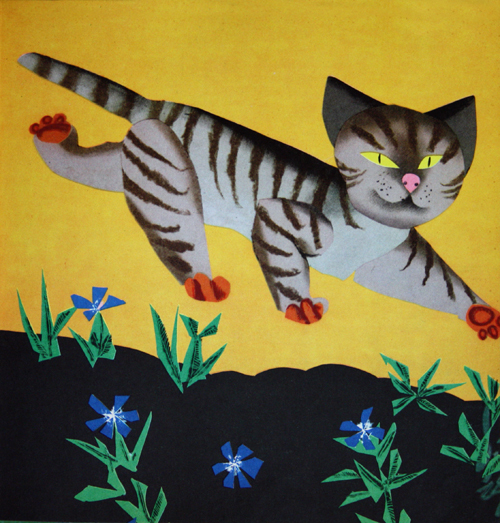 That's beautiful, I had no idea Trnka did illustration as well as animation. Seems natural enough, thinking about it.